Comfort food is hard to beat. It’s just so... comforting. And in the Twin Cities, there are several places serving unique spins on a few of our favorite standards. Whether it's fancying up mac & cheese, spicing up fried chicken with a "poultrygeist" sauce -- which may be as terrifying to taste as it is to say -- or giving patrons the standard (but wonderful) fish & chips they've grown to love over the years, our souls and stomachs will forever be filled because of these takes on comfort food. We hope you have plenty of napkins. It's hard to beat an order of flakey golden fried wild caught Alaskan cod and crispy, salty fries on a cold rainy spring day (or maybe any day at all). 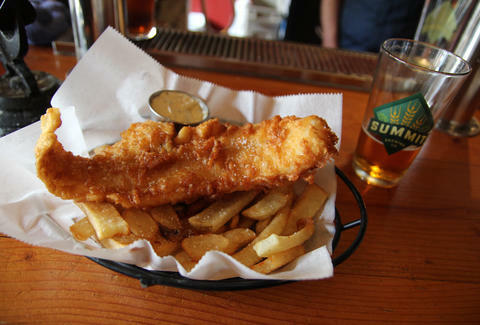 In Minneapolis, no one does that better than this Northeast chippery, Anchor Fish & Chips. (Really, the name of the dish is in the restaurant's title.) The meal is simple, sure, but honestly, sometimes that's all you need. Add in the tartar sauce and now you're meal is pretty damn comfortable. This take on the famous dish pleases the hell out of our city's large Scandinavian heritage. Because of that, you can understand that a Minnesota-made comfort food list wouldn’t be very good if the first item wasn’t Swedish meatballs. In the Twin Cities, there's no better place than Fika to do this snack right. 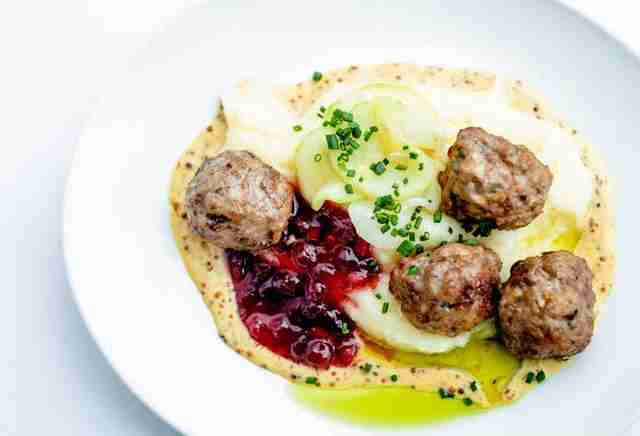 Spiced with a bit of juniper and served with creamy potato puree, a little cucumber salad, sweet and sour lingonberry jam, and a snappy mustard sauce, these meatballs are an interesting spin on an undoubted favorite. 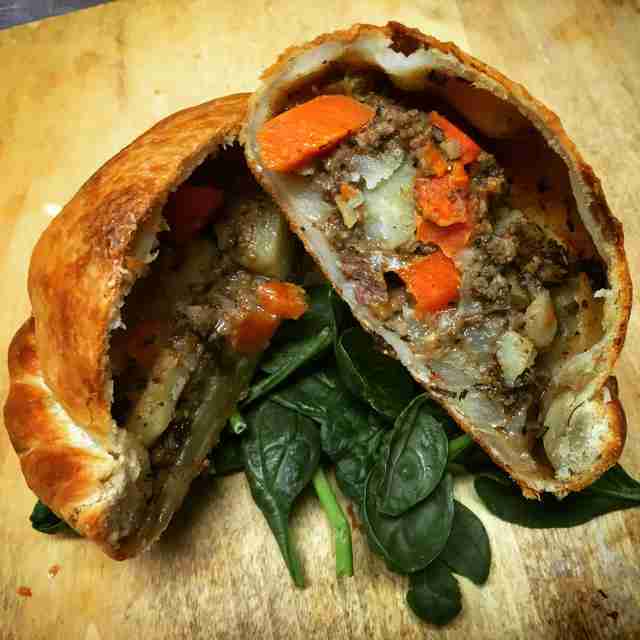 While the original version of this meal might be British, the pasty is definitely something we’ve made feel right at home here in the Twin Cities. The flakey treat at Potter's is a complete meal in handheld pie form, filled with beef, potatoes, carrots, and a rich onion gravy. If you’re not in the Southeast/Como area of Minneapolis, they also have a food truck, so keep an eye out for that. When it comes to mac & cheese, we’re typically just looking for something simple. All we want is a meal that's warm, cheesy, and gooey. Luckily, the penne & cheese at Eli’s has been a longstanding Twin Cities staple for just that reason. 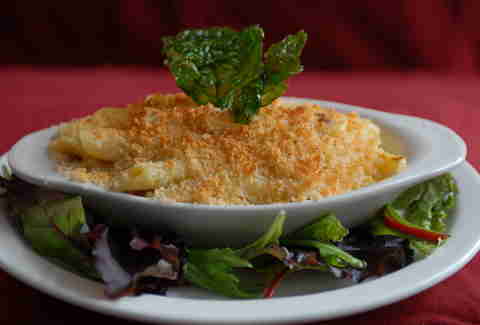 The pasta comes dressed with a homemade special four cheese sauce; it then gets topped with buttery, parmesan breadcrumbs before a quick toasting. It’s basically a hug for your insides... but in a small casserole dish. 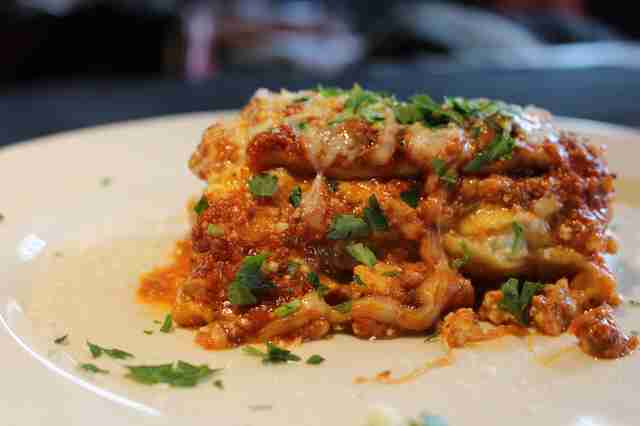 The lasagna at Mucci’s is described on the menu as “layers of love.” And really, how much more of a description do you need? The meal is layered in pasta, meat sauce, and cheese, and then baked together into one of the most iconic comfort foods around. Are There Too Few Cooks for Kitchens in the Twin Cities? Examining MSP's Alleged Labor Shortage. 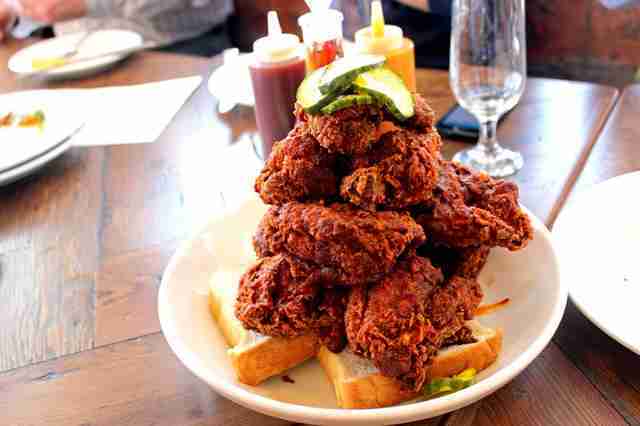 Fried chicken might just be one of the all time greatest comfort foods, and this South Minneapolis restaurant is crushing it, serving some extra crispy, super succulent, and fairly straightforward bird. If you’re feeling brave, get the oh-so-delicious Tennessee Hot. (Yes, it’s hot. No, it won’t kill your taste buds.) The restaurant also just started offering a "poultrygeist" fried chicken (translation: very, very hot chicken), which we’re frankly a little afraid to try... but somehow curious at the same time. There’s always something strikingly beautiful when it comes to an expertly roasted chicken. Maybe it’s because all too often we get an overly dry and tasteless bird, so when we get something good, we can never forget it. 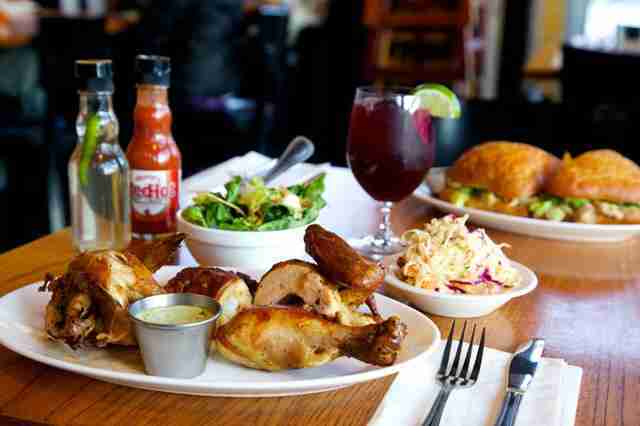 Well, get ready to remember this: Brasa's chicken is easily some of the best in the Twin Cities, particularly because it's served in two- or three-piece dishes and styled with a creole dry rub. To go with it, order up some of the delicious southern inspired sides (shoutout to the brown sugar candied yams and the fried plantains). Oh, and don't overlook that mac & cheese. If you’ve ever had a traditional tater tot hot dish -- made with ground beef, canned green beans, and canned cream of mushroom soup, which inevitably is covered with a layer of tater tots -- you know this version is almost nothing like it... but still similar. Instead of ground beef, this is served with a rich, slow braised short rib that comes with fresh cooked green beans, a smear of porcini cream sauce, and loads of homemade cheese stuffed tater tots (though really they're quite a bit more than your average tot: large potato croquettes stuffed with cheese, breaded, and then fried). While it’s an upscale version in every single way, it never loses its tried and true roots. 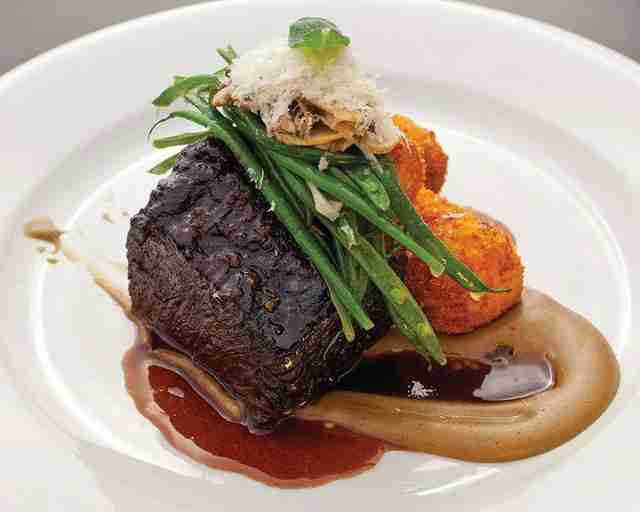 Keane Amdahl is a veteran Twin Cities food writer who likes it when food tickles his soul. Follow his misadventures on Twitter @FoodStoned.